Sensing node for home automation. 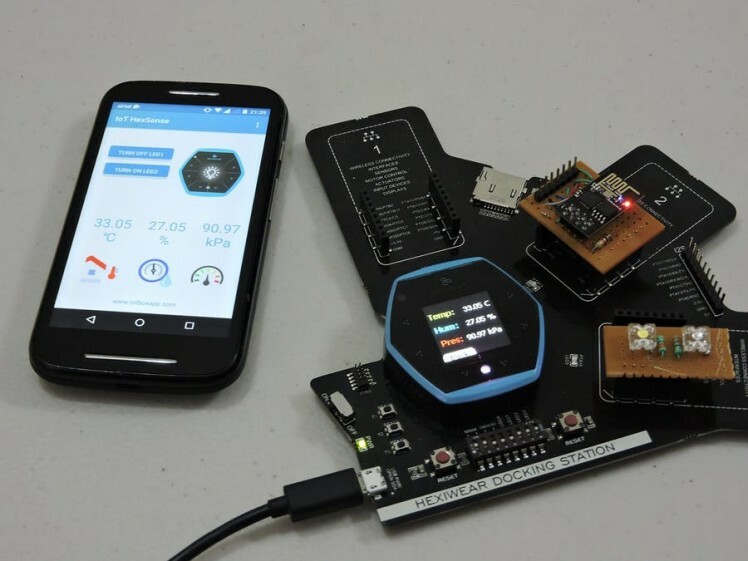 IoT Hexsense is a sensor node device based on Hexiwear. Its specially designed for Home or Industrial automation.The Hexiwear comes with various sensors. All the sensors and status information are transfer to cloud. Esp8266 is the module , interfaced with Hexiwear to push the data into cloud and vice versa. Bluetooth is optional in this project , it can be used for configuration and access/ control in offline mode. ESP8266 uses two different channels for read and write from the cloud. The interval for cloud update is 0.07 Hz. Thingspeak server is used here for data management in a single channel. All the sensors data and Lights status are recorded here. 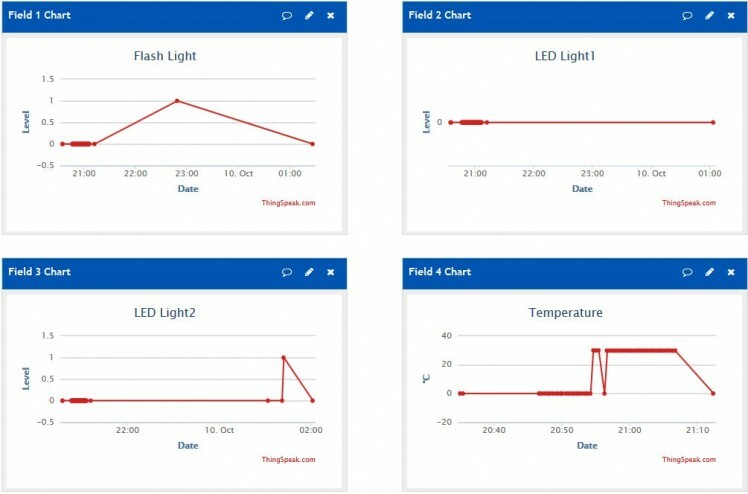 Also i made an android app where you can control the Lights & reads sensors (temperature , pressure & humidity) from anywhere. I have made my own version of PCB plugin board for ESP8266 , which fits into the Hexiwear docking station. ESP8266 is connected with MK64 UART3 (PTC16 & PTC17). To control the lights (LED), two pins are taken out (PTD8 & PTD9). Nothing much changes in hardware. Android application is based on HTTP/1.1 requests, Its user friendly and generic where anyone can use it with their own "Thingspeak" API Keys. It will be available soon in google play.